Dr. Werner Struth (60) will be retiring from his current position as member of the board of management of Robert Bosch on March 31, 2017, after 28 years with the company. Most recently, Struth was responsible for the Industrial Technology business sector, with its Packaging Technology and Drive and Control Technology divisions. He was also responsible for the Americas, for manufacturing coordination, and for occupational health and safety and environmental protection. His position will not fall vacant. Instead, his tasks will be redistributed among the other board members. Struth has been a member of the board of management of Robert Bosch since January 2012. The shareholders and supervisory board expressed their thanks to Struth for his many years of good service with Robert Bosch. 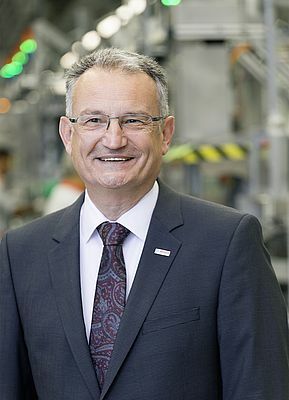 Struth was president of the Chassis Systems Control division (2005 to 2012) and a member of the executive management of the Diesel Systems division (2002 to 2005). Before that, Struth also worked for several years at Bosch Braking Systems Co. Ltd. in Japan. Struth’s areas of responsibility will be reassigned as follows: Dr. Stefan Hartung will assume responsibility for the Industrial Technology business sector and for manufacturing coordination. Dr. Markus Heyn will be responsible for the Americas, and Christoph Kübel will take on responsibility for occupational health and safety and environmental protection.